We should do inductive method to find a new topic in a thesis. It can be started from an exploration something, if we are critical “peka” we will find a phenomenon why something happened, after that link the issues to the theory. Don’t start a reasearch from a topic / title first but start it from problem or exploration (interesting phenomena/ sesuatu yang tidak lazim) sehingga layak untuk di angkat (why). Tidak lazim disini bisa yang baik atau yang jelek yang berbeda dari keadaan umum. To determine it is good or bad are based on the definition of the theory and criteria or indikator. The definition is the “red yarn” from the background until discussion. Gunakan sebuah atau beberapa definisi yang sama sebagai acaun pada penelitian itu sebagai dasar berpijak dan jangan gunakan definisi lain yang bertolak belakang. The answer of the problem is data of research. Then use a method to collect a data for instance questionnaires, interview, documentation, so on. If we don’t find a theory to support our research we can use grand theory to cover our finding. And the finding will be a grounded theory (membangun theory). Qualitative research (inductive perspective) Khusus ke umum, In this research can be started from data (specific) then make a conclusion (general). It will be produce theory (grounded theory) from certain phenomenon author version (ala reseacher tersebut) because the researcher is the instument of the research. Then the result of research can be transfered to other place. Conclusion (diduga / praduga) is also called as hypothesis. Quantitavive research usually consist of two variable or more. To obtain data it need instrumen such as: angka diolah dengan statistik, analysis hubungan dengan korelarasi, dan melakukan uji T-tes dan anova. 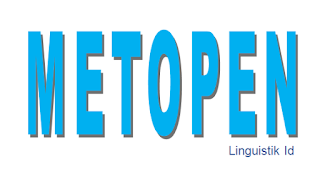 0 Response to "Metopen: Pengenalan Awal Metodologi Penelitian"